Agriculture is a vital part of the world’s economy and survival. Integrating the successful development of technology into the industry of agriculture creates a match made in heaven. Today’s farmers can do more, faster, and more efficiently through the use of tech tools. It’s fascinating to dig into the full experience of how your fresh food makes it to the kitchen. Check out a few super cool tech developments that are making waves in the world of agriculture today, and try to keep the “oohs and ahhs” to a low roar. 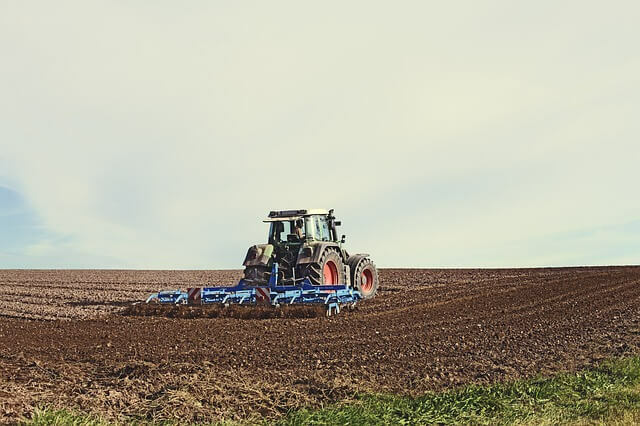 In the last 15 years, farming equipment has gone from a few automated indicator lights to the existence of a handful of fully automated vehicles. It’s true that the market is not yet booming with driverless farming vehicles, but the time is coming soon. As of late, the most high-tech farmers can work freely with a vehicle that has autonomous steering capabilities. Even down to the magnificent mowers used to maintain the land. Autonomous steering has led to a much more precise manner of farming. Farmers now have the ability to pull up a map on their mobile computer that will precisely place every vehicle operating at the moment and how much fuel the vehicle has left, how much the vehicle is producing, and even if the equipment is nearing a breakdown. Telematic products make this efficient monitoring possible. Trimble released Farm Works Dispatch earlier this year. Farm Works Dispatch gives farmers access to real-time kinematic (RTK) corrections. It will also enable the wireless transfer of valuable information that can save farmers time and money in time. Hyper precision is an active part of today’s farming operations. Widespread use of RTK navigation systems has thrust farmers into a new, more precise era of farming. RTK navigation allows farmers to seed and fertilize their crops with top-notch accuracy, allowing for more accurate planting plans. This technology gives the operator the power to remotely control shutoff systems as well. Electric farming equipment is on the rise, vehicles which generate electricity to power auxiliaries and attachments are already in play. Total electrification of farming equipment is still a few years away, but the shift is rapidly underway. Newer EPA (Environmental Protection Agency) standards for engine pollution output has made it critical that farming gear sees a reworked design. Tier 4 engines produce fewer emissions and meet the set requirements to preserve the environment per the EPA’s standards. RFID (radio frequency identification) tags have been used for a few years to keep track of livestock. The tags notify farmers as to the eating habits and general patterns of each animal, so there is a clear identifier of a possible sickness or problem with the animal.